For the giganotosaurus: Anyone buying the book wil surely be capable of doing a major collapse in one step: just add an in-progress step. I agree. The collapse of the model isn't too bad, the references and all that stuff is. i only want three models from him: giganotosaurus, bear cub and wolf. All these are his best designs ever! I want these three: Flying Atlas beetle Latest version, Flying Kabuto Mushi v3, Giganotosaurus! These Are the best models I like! "the first step towards failure is trying"
his book would be the best origami book in history. Do you guys agree? kind of hard to say without knowing the content but generally i would say no. i expect it to be a book like kamiyas or others, with great conten,t exceptional models and all and i will definetly buy it. But the best book (that i know, there may be many great books i have never heard of...) is origami design secrets, because it explains origami. ods it what has brought me heavily into origami and made me understand it. i really like those books filled with complex models that i really want to fold but they will never reach the level of ods in my eyes. I wouldn't consider ODS an origami book. It is a book on origami theory and mathematics, with a few diagrams sprinkled in. Out of books containing mostly diagrams, Shuki's will be one of the best, if not the best released so far. It will be in competition with Brian Chan's. Ahm, I know and own many Origami books that contain less diagrams than ODS. After all the first version contains 22 and the second 26 fully drawn diagrams of mostly high intermediate to complex level together with several CPs. The focus of ODS, Joisel's, etc are not diagrams, in my opinion. They are still origami books in the sense that the subject of the book is origami, but the sole purpose of the book is not to fold the models located within. Nobody buys ODS just for the diagrams, just as nobody buys Kamiya's books just for the pretty pictures. I bought ODS for the diagrams. I still can't circle pack. I dont understand the argument here. "Best" is a superlative term. Each one has their preference. Think of a piece of music for instance, Nobody calls a piece "best". Same can be applied in origami. A book filled with complex pieces maybe attract the attention of some people but the majority of the origami community probably cant fold half the models included. A book filled with simple models may not be to the appreciation of the ones who can fold higher levels. It all depends on your perception. If Mir wants to call this the "Best" book he is entitled to his opinion because he likes the models in it. If tchobigami wants to call ODS the "Best" book because of the theory involved, he too is entitled to his opinion. But according to me "one of the best" is the most appropriate terms to use here as phillip did in one of his posts above. I believe that trying to identify the best book of origami is simply an exercise in futility. To call anything the "best" is , on it's face, a subjective indication of personal preference, devoid of any measurement of objective fact . This may be attributable to simple hyperbole or relative inexperience of the topic at hand. It is fairly common to confuse objectivity with subjectivity. One may maintain more respect by indicating any particular subject as their "favorite" , or the best to them, rather than some whimsical global statement of greatness. When I think of my favorite books of all time, I think of Akira Yoshizawa, Neal Elias, Robert Harbin, Fred Rohm, Hideaki Sakata, Robert Lang, John Montroll, Jun Maekawa, Kasahara, Kawasaki, Takahama and quite a few others. Each individual has authored books which may have been considered "the best" of their time. But time is relative, and change of opinion is inevitable. I have no doubt that Shuki Kato will produce a book of well crafted origami, worthy of praise, a creation that he may well be proud of . 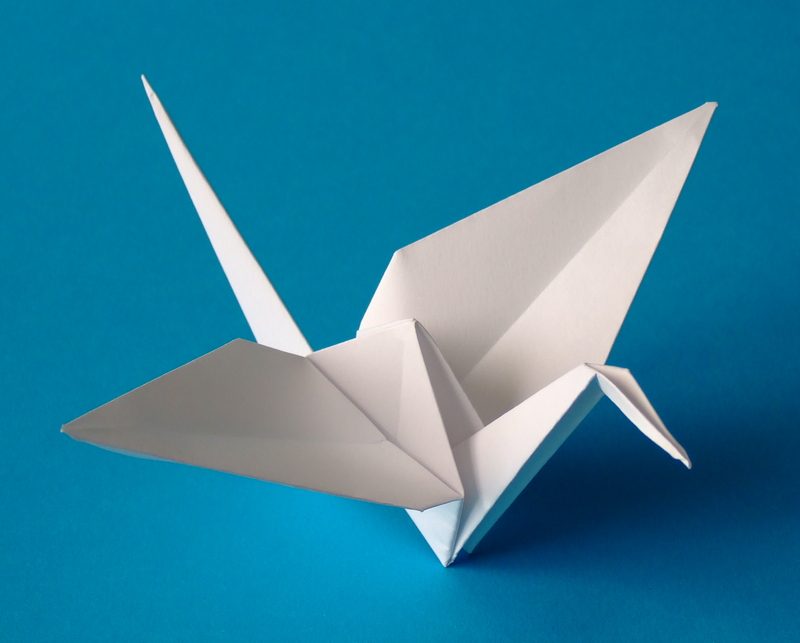 However, a book of complex, or super complex, origami models does not make it any better than a well crafted book of simple or intermediate models. In fact, it is very probably more difficult to create a well crafted intermediate model of simplicity, balance and artistry , than it is to manipulate multiple folds with box-pleating techniques. Truly experienced origami designers , as well as folders, may well strive to simplify designs, rather than obfuscate them with complexity. with all its peaks & depths, as well as Origami . i have heard that there are certain folders who have the ability to hide the complexity of the model, like Kamiya, Brian Chan. So, if one of them suppose releases a book in which all the models would look simple but they would be very complex, wouldn't people call it the best book? Mir: overcomplicating things doesn't make the origami good, even if they can hide the complexity. Giang Dinh, Hoàng Tiến Quyết, and some other people in VOG make, in my opinion, make some of the most beautiful models in all of origami. They are for the most part, simple. I wasn't saying that complexity is the basis for a good book. Let me clear this up: Shuki's book will have a range of models from simple to very, very complex. Beginners to veterans will be able to fold from it. It will have a wide range of types of models - everything from insects to dinosaurs; which means it will appeal to a lot of people.